Belly Itcher Sports provides a wide selection of Major League(MLB), Minor League (MiLB) and college replica hats, jerseys and fan wear specifically to leagues and teams. 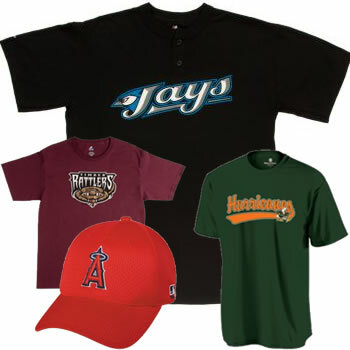 Quality jerseys and shirts for most Major League Teams, many Minor League teams are provided by Majestic® giving us the opportunity to outfit Little League, Pony, and other youth baseball teams and supporters. These uniforms and shirts are designed with the Licensed team information and logos and are printed on high quality garments. College team replicas are provided by Holloway and are available in several different styles. MLB, MiLB and College replica caps are available from OC Cap and also come in many teams, styles and colors. UNFORTUNATELY DUE TO LICENSING ARRANGEMENTS, REPLICA MERCHANDISE IS PROVIDED TO TEAMS , LEAGUES AND ORGANIZATIONS ONLY. WE DO NOT SELL SINGLE FAN PIECES TO THE PUBLIC. If you are a league, team or team parent, or head of an organization please CONTACT US regarding your needs and we can provide you with pricing.